Count Dracula has a great family and great friends, making his afterlife pretty good. But, something- or rather, someone, is still missing. He may have found his first love, Martha, centuries ago, but his undead heart still misses her. And Drac, no matter how hard he tries, just can't seem to find someone new. That is, until he steps foot on the cruise ship Legacy. Y/N L/N is a hard-working, determined, caring, gentle, and funny young woman. She is a songwriter/singer and she uploads videos she makes online. While she says that she's fine, her family still thinks that she is overworked. So they book her and some of her friends a cruise trip. However, they all don't know that this is a cruise ship full of monsters. WELCOME to Hotel Transylvania! Human free since forever! But now... Jonathan has arrived and has brought Elisabeth with him. Follow Lis during her hectic stay at Hotel Transylvania. THANK YA' ALL! I'm at 55.62K (55,620) reads on this story! That's 3,708 people to read this one start to finish! And the numbers keep growing! So exciting! This is pure fan fiction! [with some romance] Please don't judge me based on it. PLEASE criticism is welcome and appreciated but being rude is not. This is my first story and i ask that you be nice. I'm not very good at grammar or spelling so I'm sorry if anything is not right. feel free to mention it but don't be rude. Dracula's new Vampire Bride has arrived at the hotel. How will Mavis react to having a stepmother? How will Dennis react to having a grandmother? You are Mavis' childhood friend and you decode to move into her dad's hotel. You have yet to zing,so what happens when you zing with drac and he somehow zings with you too? Arwen Kinsley, she was the epitome of recklessness and adventurous. 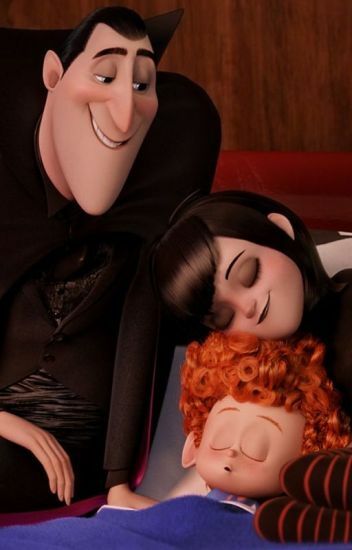 With Jonathan as her partner in crime and her hybrid witch-vampiric brother named Thomas, they embark on a journey through the world up until they stumbled upon Hotel Transylvania. There were a lot of things Arwen knew in monsters from her brother but she never knew the feeling of meeting their true love they call 'zing'. A lot of things happen within the walls of the hotel and Arwen must figure out if she and Jonathan would take the leap and become the bridge between the gap of monster and humanity and Thomas to finally realize that his beloved sister was no longer dependent of him. Being on vacation was her only plan till she messed it all up and ended up in the Hotel for monsters known as Hotel Transylvania. Meeting different monsters there, she already got her eyes on someone. Y/N were mountain climbing with her friend Jonathan "Johnny" Loughran when Johnny slipped pulling her down with him. They went to a nearby cabin thing as a couple told them about a creepy forest. Who isn't gonna go into a creepy forest right? Well when Johnny and Y/N were exploring, they came upon a HUGE looking castle. What happens when they go in? Read to find out. Hi! I'm Amanda Summers and I'm 3,037 years old. I was born immortal and i just finished my school at Hogwarts! I traveled all over the world except Transylvania so I'm heading there now and I'm so excited!!! I'm a Witch, Vampire, Grim Reaper, Dragon, Animangus and a Shape shifter. I can my appearance, I can change into a gigantic dragon with red and black scales, I can turn into a skeleton with a black hood and a scythe, I can turn into a vampire and I looked like a muggle/human. I went to a tiny village that look like its abandon so i turned into a dog with blood red fur. I heard some 'swish' so I looked up and saw a girl vampire coming towards me so I stood up and wag my tail. She took me and told me that she's gonna keep me and she named me Amanda!!!!! Wow she got my name right!!!! then 'humans' showed themselves with pitchfork and torches. They wear old fashioned clothes and they reek!!! So I presume that there zombies. After the 'humans' scare my new friend we flew off and came into this amazing castle. than another vampire came in and I felt my heart skip a beat. Do I love him? whats happening? Is this my new adventure? I hope you like this story!! Beth and her best friend Johnathan just wanted a week away from everything to travel the world and do new things and meet new people. But they didn't expect to find monsters. Or their soulmates.